Measuring Up! - Cooking for Kids provides a unique hands on interactive cooking experience focused on introducing children ages 3-17 to the joys of cooking, the basics of nutrition and the accomplishment of creation. In our open kitchen setting, with a gather round and participate class style, the young cooks will work together to prepare various recipes. Focusing on fun, each class will explore how cooking uses language, math, science and art to create the food we eat. Each passing class will have the young cook’s gaining experience, knowledge and skills that they will take with them for life. 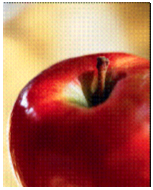 · Cooking adventures for kids, age 3-17. 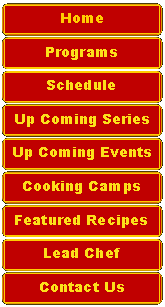 · Learn cooking skills in a fun, interactive, hands on environment. · 1 1/2 hour classes, limited to 12 participants, focused on preparing a particular recipe. 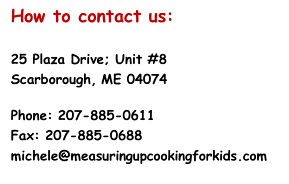 · Children learn how reading, math, science and language all play a part in cooking, but most of all, they learn how to have fun cooking!